iPhones might eventually be able to detect the presence of a hearing aid. The U.S. Patent and Trademark Office granted Apple 52 patents, including a notable patent for a new hearing aid technology that would make the iPhone an even better device for the hearing impaired. This new hearing aid technology described in the patent could be implemented in a portable audio device, like the iPhone, in order to detect if the user has a hearing aid and then automatically adjust the audio signal so you don’t have to fumble with those little hearing aid volume knobs yourself. 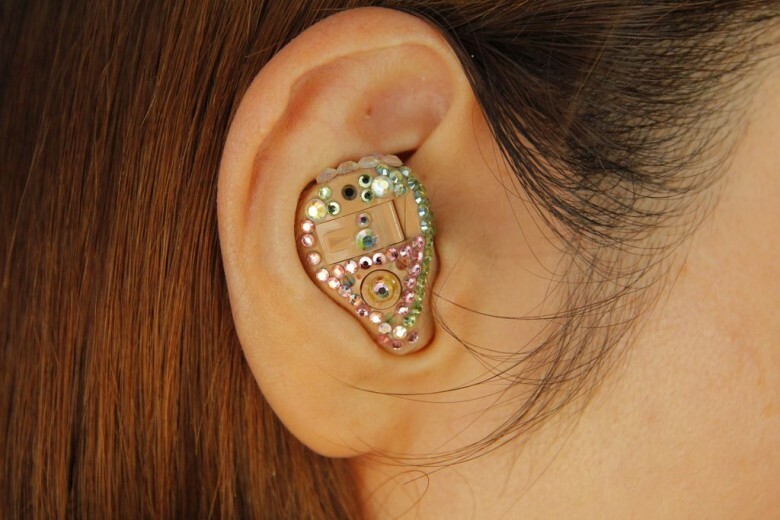 Here’s how the patented technology could work: Say you’re wearing a hearing aid and gets a call. Instead of adjusting the volume manually, the iPhone would use proximity and magnetic field sensors to detect when the device is moved toward a hearing aid, and then amp up the volume. Theoretically, it could work in reverse as well. Also, among the big batch of patents first reported by Patently Apple, is the description of a ‘Diamond Cutting Tool for Cutting Smooth Reflective Surfaces’ that’s used to give the iPhone a smooth, shiny finish. Apple’s been bragging about its diamond-cut rounded edges since the debut of the iPhone 5. There’s no guarantee that Apple will include the new hearing aid patent invented by Shaohai Chen and Ching-Yu Tam in the future, however the company has been a leader in regard to accessibility. It has won a Helen Keller Achievement Award for its Voice-Over feature to help those with vision impairments use an Apple device. More accessibility improvements are likely on the way in iOS 9 and the iPhone 6s. Hopefully the new hearing aid tech is one of them.